Posted on 21, August 2018 by EuropaWire PR Editors | This entry was posted in Chemicals, Germany, Industrial and tagged AEROSIL, Evonik, fumed_silica, Mr. Tao Wei, Wynca, Zhenjiang. Bookmark the permalink. 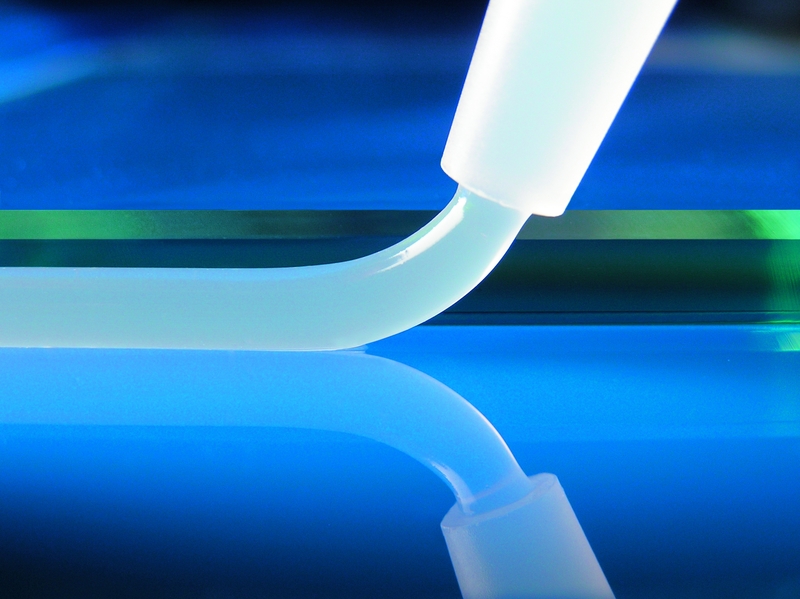 AEROSIL® fumed silica improves the manufacturing, quality and performance of adhesives and sealants. ESSEN, 21-Aug-2018 — /EuropaWire/ — Evonik Industries and the Chinese company Wynca have agreed to form a joint venture. The new company, in which Evonik will hold 60 percent, will produce fumed silica marketed under the name AEROSIL®. The product is used in transparent silicones, coatings and paints, modern adhesives as well as non-combustible high-performance insulation materials. The joint venture, Evonik Wynca (Zhenjiang) Silicon Material Co., Ltd., plans to build a fumed silica production facility in the Zhenjiang New Material Industry Park (Jiangsu Province, China), investing an amount in the mid double-digit million Euro range. The facility, with a projected annual output of 8,000 metric tons is scheduled to become operational in 2021. The overall project still requires the approval of the relevant corporate bodies and the competent authorities. The global market for fumed silica is growing at around 5 %, showing stronger growth than the global economy. Key drivers for the fumed silica market in China include the silicone industry for adhesives and sealants in buildings and cars as well as gel batteries such as those used in electric bikes. The joint venture will supplement Evonik’s global network of AEROSIL® production facilities, while Wynca plans to further expand its business with silicon-based products, using the benefits of a shared approach. “With the joint venture, we are consistently continuing to strengthen our Resource Efficiency segment. Following the acquisition of the Huber silica business and the associated expansion of our precipitated silica capacities as well as the growth of our fumed silica capacities in Antwerp, we are now taking the next step with the first fumed silica plant in the attractive Chinese market. Wynca is a strong partner to do this and we look forward to the future cooperation”, says Harald Schwager, Deputy Chairman of the Executive Board of Evonik Industries. Precipitated and fumed silica are among the company’s “Smart Materials,” one of four strategic growth engines identified by Evonik for above-average market growth and margin potential. Based on synthesized organic silicon monomers, Wynca has formed a complete organic silicon industry chain from smelting cores, ganister sand processing, monomer synthesis to the final products, generating the four large product series of silicone rubber, silicone oil, silicone resin and silane coupling agent, and becoming an organic silicon company covering the full industry value chain. “The cooperation with Evonik is a good opportunity for Wynca to realize its strategy of moving towards end products and its mission of creating better living with green chemistry. We are committed to serve the society and mankind by developing the company with circular economy, and in a resource-efficient and environmentally friendly manner,” says Jianhua Wu, Chairman of the Wynca Group. “The production site for silica in China will enable us to supply our high-quality products to the growing Asian market with significantly shorter transport routes,” said Johannes Ohmer, member of the Board of Management of Evonik Resource Efficiency GmbH. “Asia, especially China is a key growth region for Evonik. The new joint venture proves that Evonik is committed to grow our business in China by continuous investment and cooperation with local partners,” added Claas Klasen, President of Evonik’s Asia Pacific North region. Located in Hangzhou, China, the Wynca group was founded in 1965 and listed in the Shanghai Stock Exchange in Sep. 2011. As one of the top 500 Chinese chemicals company and one of the top 20 global enterprises in agricultural chemistry, Wynca’s main businesses are crop protection products and organic silicon materials. Wynca is selected as the Most Valuable Listed Companies in China for many years continuously. With the advanced recycling technology for chlorine, phosphorus and silicon, Wynca is a pioneer of circular economy in the industry. The company covers the whole value chain in the organic silicon industry and focuses on developing downstream segments. The products of Wynca are widely applied in agriculture, biotechnology, aeronautics & astronautics, health care, building materials, electronic & electric industry, as well as new energy industry. Wynca has subsidiaries in North America, South America and Africa and markets its products in many countries in the world.